How would you feel if you could make $500 a month? Or what would an extra $1000 month do for you or your family? If you are looking for ways to make extra money this month, we can give you a few tips to get started. Personally, I like to come up with a few creative ways to make money for my family each month as it lifts any financial stress from me. If I can make an extra $500 this month, and maybe $600 the next month, this is all extra money that I can use to pay off debt faster or add to my savings account. Either way, making extra money from home is always the ideal situation for me. Finding a part-time job is also an okay route to choose if you are looking for extra ways to make extra money, but with a baby and the job economy, this might not always be the ideal situation for everyone. 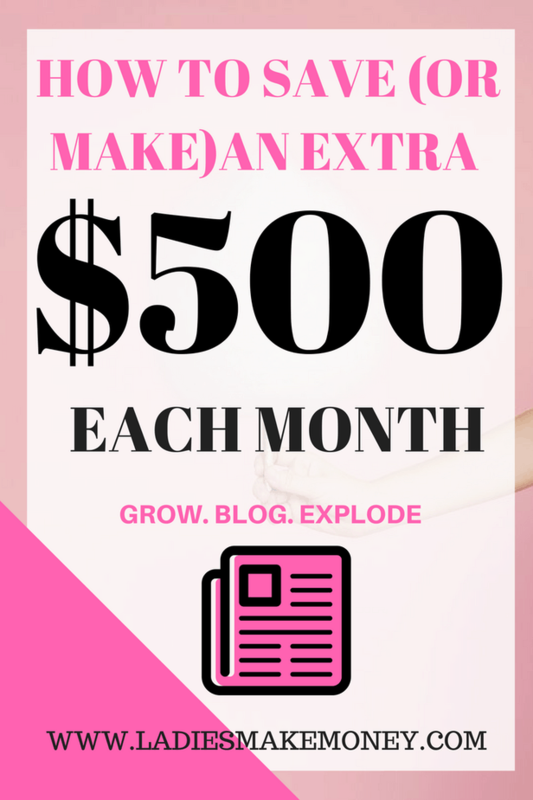 Today, we really wanted to focus on easy ways to make $500 a month online! It is very possible, as long as you have the right tips and direction to go by. Before we get started on how you can make $500 a month, we did want you to follow us on Facebook for more awesome ideas on saving or making more money. You can also follow us on Instagram for more tips. For many people, the hardest thing about making money from home is finding the right thing to do. It can be difficult, at first, to figure out how to make money and pursue realistic financial goals. 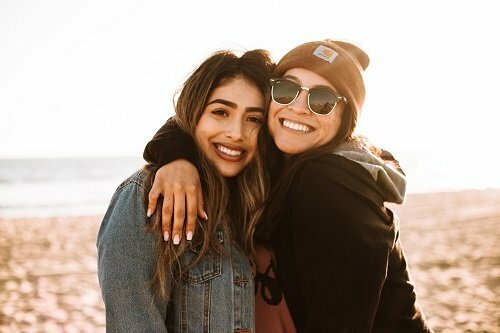 This guide is here to help you develop those money-making habits to get you started right away and start adding extra money to your savings account each and every month or to help out where you need it the most. 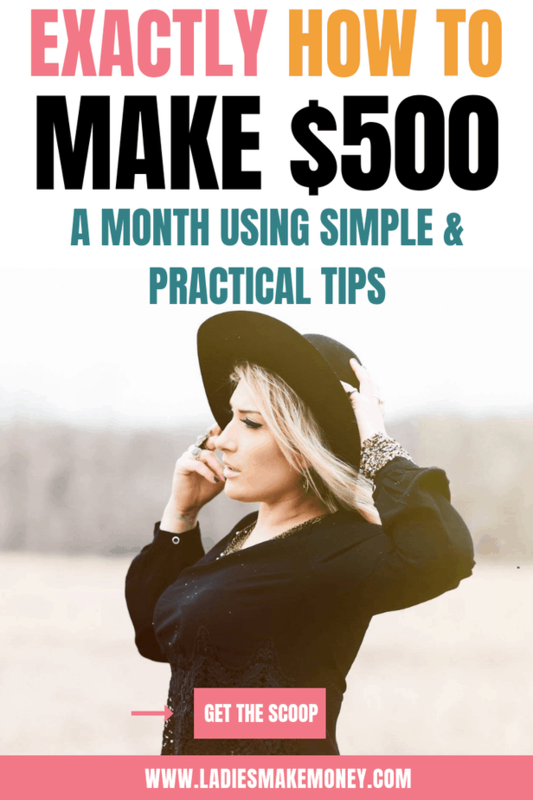 With these tips, you can start to make $500 a month and then the next step is learning how to make an extra $1000 a month from home and keep growing from there. Are you ready to make some extra money? The first step to learning how to make $500 a month or even how to save money each month is to figure out exactly how much you spend each month, and this means tracking your many expenses. This could mean simply looking at your bank statement to see your debit or credit card purchases, but make sure to also include gas, groceries, and coffee habits, along with mortgages, and other large amounts. Then from here you can make a budget and work to organize your expenses into that budget. It should outline your expenses, your income, and your future goals. Overspending is a real reality without a budget, so it’s best to really examine your budget, especially when considering those things that don’t occur each month, like seasonal bills. You can find a list of amazing FREE Monthly Budget Template Printables to start your budgeting. Once you better understand where you stand financially, you can then start to make a plan to make $500 a month if your budget desperately needs this. Ensure that your household budget is completely accurate before going to this next step. Once you’ve developed your budget and got a better grip on spending habits, it’s time to automate a savings account. If your income automatically goes into your savings account, there’s no way to spend it before you manually put it into your savings. This can happen by automating a direct deposit from your employer or setting up your checking account to do send money to your savings account on payday. You can also use the Trim app to help lower your current expenses. Who knows? This might just add up to an extra $500 a month for you. 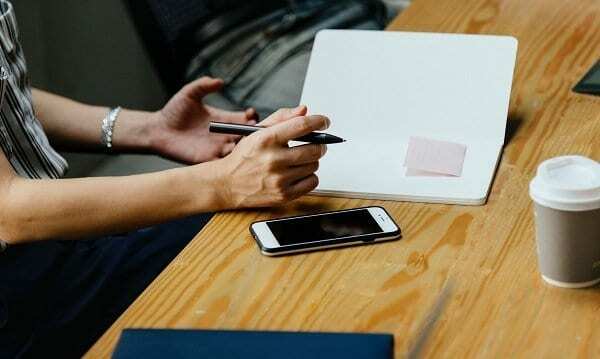 If you’ve taken some time to calculate your budget and an extra $500 doesn’t look like it’s in the cards, and you can’t cut any other expenses like subscription services, then it’s time to consider making some extra money each month. It is a great idea to add some extra income in order to help you save money each month. This will also allow you to live more comfortably and stop you from going into debt or even more debt if you are already heading that direction. That’s why this post is perfect for people looking for ways to make an extra $500 per month. One way to make some extra money, say an extra $500 a month, would be to create a profile on one of the online freelance websites like up work or Fiverr. Anyone interested in making money as a writer, graphic designer, accountant, translator, programmer, developer, salesperson, marketer, or virtual assistant can do so online. If you are ready to get paid to blog and write articles from home, then is absolutely something you should consider to make extra money. There are always over 100,000 jobs listed on up work or Fiverr. If you wanted to be a freelance writer, for example, you can create a profile for free and then start looking for jobs. It’s actually possible to find writer jobs that pay around $30 an hour, which means an extra four hours of work each week could be another $500 in your account. This is an amazing way make $500 a month! If you are a stay at home mom, this side business exactly what you should look into starting! You can start your own Baby Equipment rental business and start earning as much as an extra $600 per month! BabyQuip provides the infrastructure and platform for you to build a successful baby equipment rental business. BabyQuip Independent Quality Providers work from home and run their own business renting baby equipment to traveling families, grandparents hosting grand-kids, families relocating, and more! You can find out more about how to start your Baby Equipment Rental business right here! This is a growing career that you should definitely look into starting. I was able to make a good $400 on just one weekend as a Stella and Dot Associate! I definitely went on to make much more money after that but as you can see, you can definitely make money with them. If you want to read more about how I was able to make money using this easy side job, you can find it here. If you are interested in becoming a Stella and Dot Associate, which we highly recommend, please sign up here! Honestly, you can make more than $500 a month online with this amazing side hustle. You can actually make $2,500 a month flipping blogs if you devote your energy and time to it. So what exactly is blog flipping? Blog flipping is buying a Blog or building a blog, then selling it (flipping it) for a profit. It works just like house flipping. When you flip a house, you purchase a property below value or at a really great deal, then make improvements and sell it a profit. Blog flipping works the exact same way. If you want to work from home and looking to make $500 a month online using Social Media, then this is for you. You can become a Pinterest Virtual Assistant which is an upcoming popular job. If you are a beginner Pinterest VA, you can expect to charge as low as $15-$20 per hour. As your business grows and expands, your hourly rate can increase to as much as $75-$100 per hour. You can get more information about becoming a Pinterest Virtual Assistant right here! Passive income is when you make money without actually putting in hours. If you want to know more about amazing Passive income ideas read this blog post. However, my favorite way of making some extra passive income is by participating and earning money with Interest. A great place to start is with Lending Club. Lending Club makes it easy to participate in one of the best passive income opportunities online! You are able to lend money and get a return plus 4-10% interest totally risk-free! You would be lending out your money for other people to use and getting paid back with interest. You can lend out money as low as $25.00. This is my favorite way of making extra money. Try it out, especially if you are trying to make $500 a month each month! Did you know that you could earn money by inviting friends to use services and programs that you like? This could make some extra cash each month, depending on which of your friends actually sign up for your offer. 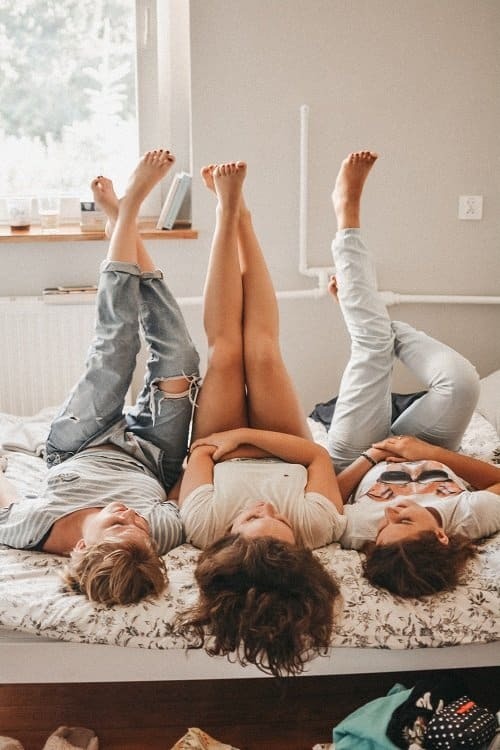 Find more creative ways to make money on the side by referring friends in this blog post! We listed so many great opportunities you should try today in order to make $500 a month. Teach English online from home is fast becoming a popular trend due to the fact that it pays really well. If you are looking for ways to make $500 a month online or more, then you should consider teaching English. Most places do not require you to have a degree or even past experience which makes it the best opportunity to earn some money from home. Ready to earn money by teaching English online? Tell us how it goes. So many people have jumped the wagon and are happily teaching English online to earn extra money. If you really want to make $500 a month to help with your finances, this might just be your gig. In the end, to find the motivation to cut back on the expensive coffees or work extra hours as a freelancer, it’s really important to choose something to save for. Short-term goals may include emergency funds, down payments, or even fun things like a vacation or wedding. What will you be saving for? Why do you need more money? When you know your reason why you need that extra money or extra income, can better understand your priorities when it comes to saving more money each month or even making extra money on the side. Are you ready to make $500 a month? If so, we want to hear from you. Tell us your plans in the comment section below. What a great comprehensive list! These are amazing, fresh tips! Freelance writing is a great way to make money from home. Let us know if you give it try! Wow, this was super helpful. I’m always looking for little ways to make extra money and I had no idea some of these things even existed. Like a Pinterest Virtual Assistant? Amazing. I hope my list has inspired you to make some extra money this month! Picking up extra freelance work is a great way to earn more money. Good tips! Yes, I love freelancing jobs! Love these tips! Definitely going to check them out. Thanks for sharing! Such an interesting post! Definitely trying this out!